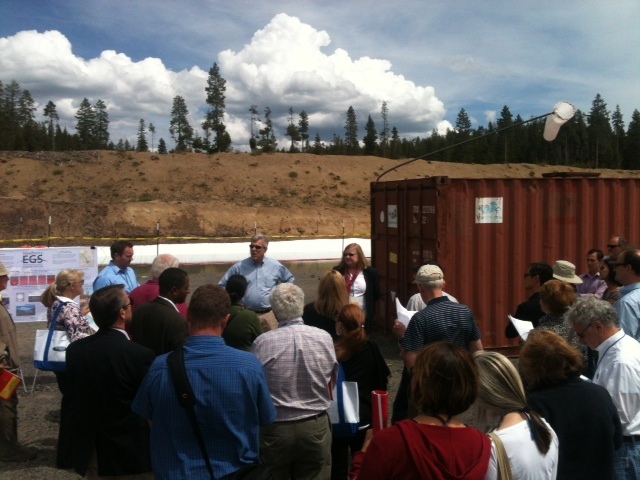 Earlier this month, we were pleased to welcome members of the Western Conference of Public Service Commissioners on a tour of the Newberry EGS Demonstration site. 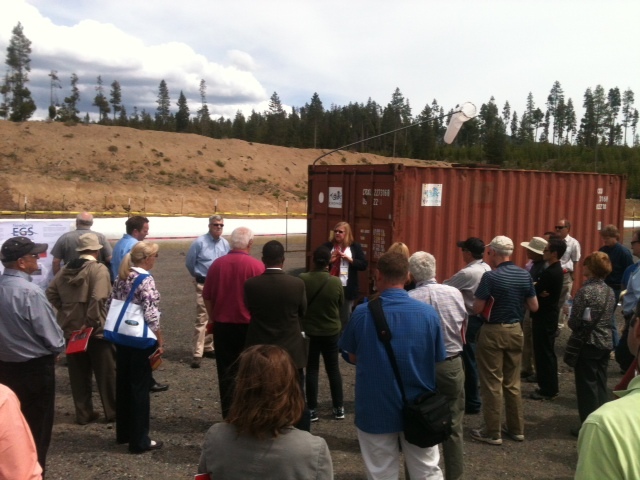 The commissioners were in Sunriver, Oregon for their annual conference, which included no less than eight presentations on emerging technologies. One of these was given by AltaRock’s founder, President and Chief Technology Officer, Susan Petty. We’re pleased that attendees’ interest in our demonstration was so great, both during the presentation and during the tour. 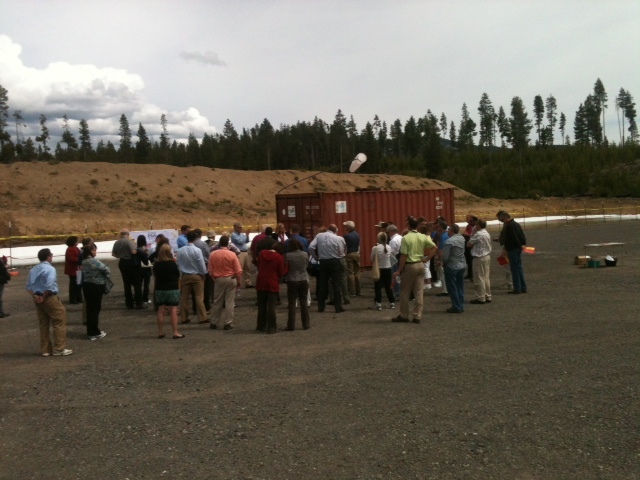 Here are three photos of the group, on-site at the Newberry EGS Demonstration. Protected by the red container is the well head of the stimulation well (55-29) (read more on our use of the well here). Speaking to the group are AltaRock President Susan Petty and Doug Perry, President of Davenport Power.